Rogue One is just around the corner! With tickets available for purchase, and new TV spots appearing at a regular rate, the excitement level just gets higher and higher! Seizing on the excitement, Twitter, Disney, and People magazine are teaming up for a Rogue One Q&A this Friday! On Dec. 2 at 1 p.m. ET/10 a.m. PT, Rogue One‘s stars and filmmakers will answer your questions when PEOPLE’s deputy editor J.D. Heyman hosts a Q&A in collaboration with Twitter and Disney. Fans will get a glimpse of a never-before-seen clip from Rogue One — which takes place shortly before the events of 1977’s Star Wars: A New Hope and focuses on a group of unlikely heroes who steal the plans to the Death Star. Then director Gareth Edwards and cast members Felicity Jones, Diego Luna, Donnie Yen, Jiang Wen, Riz Ahmed, Ben Mendelsohn and Mads Mikkelsen will chat about the film. Star Wars aficionados can send their questions to Twitter using the hashtag #AskRogueOne. The livestream will be available worldwide at RogueOne.Twitter.com, Twitter Moments, and through @StarWars and @People. PEOPLE’s Rogue One celebration kicks off on Nov. 30 with the release of a special newsstand edition, Stars Wars: The Secrets of Rogue One, featuring a virtual reality bonus including goggles. To watch the full experience and explore more exclusive virtual reality content, download the LIFE VR app for iOS and Android or visit time.com/lifevr. 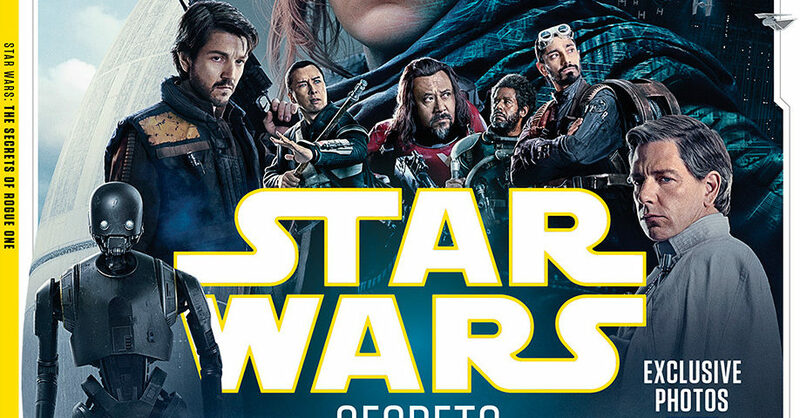 In addition, the original special Rogue One: A Star Wars Story will premiere on Nov. 30 on the People/Entertainment Weekly Network (PEN). Previous article Meet Ashley Eckstein & Ashley Taylor at the WonderGround Gallery Anaheim and Orlando!